Someone has observed that the pursuit of joy and happiness is much like trying to catch a butterfly. When someone sets himself to “catch” joy it may well elude his most fervent pursuits, but if he minds his business and sets himself to profitable pursuits, it will come and rest on his shoulder. When a person sets out to find happiness he is thinking about himself. His world grows more and more narrow. He fails to bring glory to God which is the primary reason he was created. He stops thinking about how he can help his fellow man. All that matters is, “How can I be happy?” Trying to make oneself feel joy, happiness or even amusement is a vain experience. Meditate on the following verses from Solomon’s experience. It is human nature to be happy when things are going well, and to become vexed when they don’t. But the Scriptures teach us to choose to rejoice, and to be happy in the midst of trying situations. This command is repeated so often that one can easily sense the importance given it in both the Old and New Testaments. There is tremendous power made available in our lives when we choose joy. Instead of being a victim to undesirable circumstances, we become a victor over them. For the fig tree shall not blossom: and there shall be no spring in the vines. 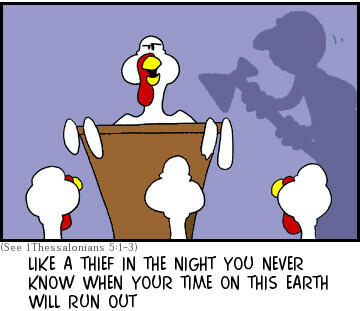 The labour of the olive tree shall fail: and the fields shall yield no food: the flock shall be cut off from the fold, and there shall be no herd in the stalls. According to the Scriptures not only are we to choose to rejoice but joy is a natural by product of right choices. The opposite is also true. If we neglect these choices, then the corresponding joy will not be given to us. When we have a cheerful outlook in life, we will reap many rewards. Some of these are physical. People who are happy as a rule experience better health. They escape many physical illnesses, and other nervous disorders common to complainers and grumblers. But even beyond the physical, happy persons are free to reach out and help others. Having a life turned outward and upward, gives them the resources to be an assistance even when they have little themselves. This in turn qualifies them for God’s rewards. 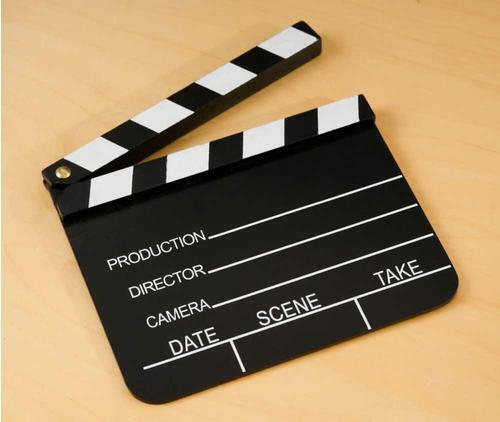 Before making this act, read it and meditate on the important points it contains. Jesus spoke the parable of the Pharisee and Publican to those who “trusted in themselves”. (Luke 10:9-14) We should do good works, but we should not rely on our good works. Rather, we must rely on Almighty God, which is why we must be totally conformed to His holy will. How many have damned themselves, because they refused God something, although they did great works? Saint Teresa of Avila was shone the place prepared for her in hell, if she had not given Jesus something He had asked for. We need to take all of this to heart, because we need to give ourself completely to Almighty God without reserve. 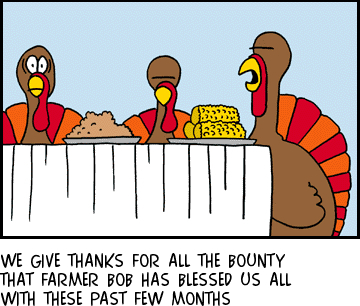 November is the month in which we celebrate the American holiday of "Thanksgiving." As Christians, we are certainly always called to be thankful for the many blessings we enjoy in life. For me personally, being thankful took on a new meaning back in 2015. 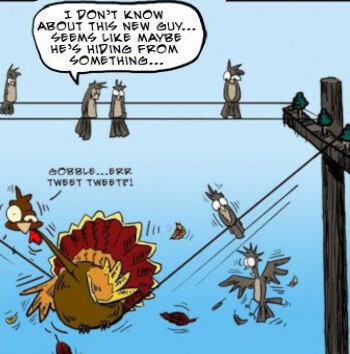 Thanksgiving morning that year I woke up to my cell phone ringing around 6:00 AM that morning. It was the Nursing Home where my mother was at after just coming out of the hospital prior to that. When I saw the phone number, I knew that it was the nursing home. My mind quickly formulated that my mother must have fallen or perhaps her medicine was giving her problems. Or perhaps they were calling me to tell me that they had to take my mother back to the hospital again. Many things occurred quickly in my mind before I answered the phone. When I picked up the phone, it was the nurse on duty there at the nursing home. She first apologized for calling so early in the morning, especially it being Thanksgiving morning. But the words she spoke next struck me to the core. She told me that she was very sorry to tell me this but that my mother had just passed away. Her words devastated me. Yes, my mother had been in and out of the hospital. Yes, my mother had been ill. But I was not prepared in the least for the news she told me in regards to my mother. 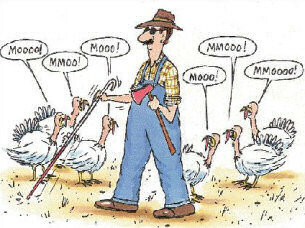 On Thanksgiving, nonetheless. As I say, I was not prepared whatsoever for this news. The fact that this event happened on Thanksgiving caused me to seriously reflect on the fact that my mother gave me so much in my life to be thankful for. Obviously, first and foremost, my mother gave me life when she gave birth to me. She carried me in her womb for nine months and then carried me in her arms afterward. She supported me . . . loved me . . . sustained me. She worked two jobs while I was growing up so that I could have the things she never had. She counseled me . . . gave me advice . . . helped me learn life-lessons. She gave me the wonderful gift of having respect and showing respect to others. Especially in the day and age when there seems to be so much selfishness and so much egotism where the whole world seems to revolve around "me." My mother taught me lessons on a daily basis not only by the words that came out of her mouth but also by the actions she showed me the way she led her life. I could go on and on and on about the many wonderful things my mother did for me but I am sure if you are reading this you can say the same thing about your mother . .. your father . . . your grandparents . . . and aunt, an uncle . . . . whoever shows care for you. Whoever loves you. Whoever wants the best for you and loves you unconditionally. Again, the fact that my mother died on Thanksgiving morning really helped me highlight me being thankful for my mother's life; the life she gave me; and the many blessings she worked so hard to give me. In so many ways, we need to always show gratitude and thanksgiving to Our Heavenly Father. So often, and again I am speaking to myself here, we get so busy with life that we forget to thank God for the many blessings that He shows us. "O sing unto the Lord a new song; for He hath done marvellous things: His right hand, and His holy arm, hath gotten Him the victory." (Psalm 98:1) We should be joyful. We should be thankful. Not only, as human beings, do we tend to forget to thank God for our blessings but we also tend to focus on the negative in life. Instead of focusing on negative, we need to make a point to thank God for His blessings. "O give thanks unto the Lord; call upon His Name: make known His deeds among the people. Remember His marvellous works that He hath done." (Psalm 105:1) God has blessed us so much with the wonderful gift of life that He has bestowed upon each one of us. He sustains us through the food which we enjoy . . . the roof over our head . . . He gives us assistance when we are in trouble. He guides us and leads us to new life through His Son's Sacrifice on the Cross. And through that Sacrifice we are given the gift of forgiveness of our sins. A feat that none of us could never have done ourself. It is only through Christ that our sins are forgiven. It is only through Christ that we have hope of eternal salvation. We just need to say "Yes" to Christ. We also think of the wilderness with Saint John the Baptist: “As it was written in the book of the sayings of Isaias the prophet: A voice of one crying in the wilderness: Prepare ye the way of the Lord, make straight his paths.” (Luke 4:3) “The voice of one crying in the desert: Prepare ye the way of the Lord, make straight in the wilderness the paths of our God.” (Isaias 40:3) The words desert and solitude are used interchangably in Sacred Scripture in both the Latin and the English. 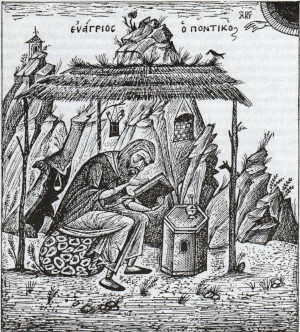 Saint John the Baptist retired to the solitude of the desert in order to preach penance. If people wished to follow his lead, they also had to retire to the solitude of the desert and hear his preaching. He did not preach in the cities, where there is noise and chaos, which distracts us from considering in the heart. (Jeremias 12:11) We also need to retire from the world as much as duty will allow, so that God can speak to our hearts. 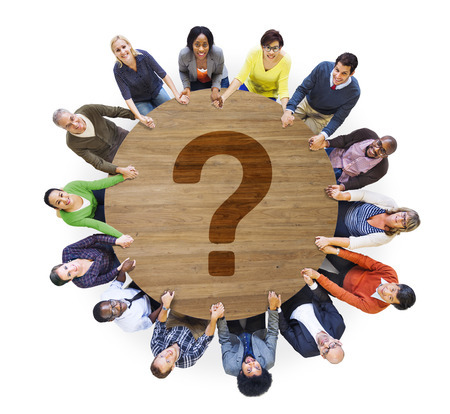 Many today are unable to sort out the confusion of our times, because they seek to do so amongst the noise of the world, rather than walking away from the confusion so that God can speak to their hearts. Dear soul, it is a joy to write to you again. 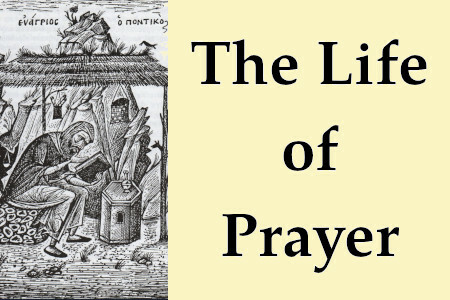 This month, we continue with the next "decade" of counsels from Evagrius on prayer. We are now more than half-way through the Chapters; let us take heart! 81. Know that the holy angels encourage us to pray and stand beside us, rejoicing and praying for us (cf Tobit 12:12). Therefore, if we are negligent and admit thoughts from the enemy, we greatly provoke the angels. For while they struggle hard on our behalf we do not even take the trouble to pray to God for ourselves, but we despise their services to us and, abandoning their Lord and God, we consort with unclean demons. At first one might think that Evagrius is being entirely a bit dramatic here in the accusation of despising the ministrations of the angels when we allow deliberate distraction while praying. But what he says is true, dear soul. 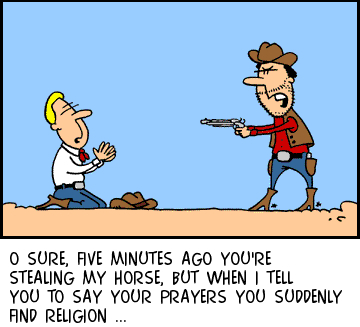 For when we deliberately allow and entertain distractions, we are allowing ourselves to make a farce of the prayers we are pretending to offer. It is in very fact a consorting with demons, and an invitation to destruction. But do not let this truth be a cause for discouragement. It is not meant to be so. It is, rather, meant to be a salutary warning not to take deliberate distraction lightly. It is also good to make the distinction again this month between distraction which is deliberate - that which we allow and entertain - and incidental - that which comes without invitation simply as a matter of course. 82. Pray gently and calmly, sing with understanding and rhythm, then you will soar like a young eagle high in the heavens. 83. Psalmody calms the passions and curbs the uncontrolled impulses in the body: and prayer enables the intellect to activate its own energy. See, then, dear soul. If the mind and the understanding wanders, then gently and calmly return it to the meaning of the prayer. It is truly just that simple, even though it can be a true struggle. The way is always clear. The praying of the psalms, especially in the Hours, truly is a great curative for all that might ail our souls. I can not strongly enough encourage every Christian to join in the daily praises of the Church in the psalmody of the Hours. Of course in our day, the opportunities of joining in the corporate prayer of the Hours are exceedingly few and very far between. But I assure you that God will reward the sincere seeker, dear soul. Here is another great truth to hold and a great key to undoing much of our modern difficulties. Not only must our intellect be involved in our prayer, but prayer is itself the highest and most necessary action that the intellect can perform. This is not to say that one can not or should not engage in those studies necessary for one's state in life. Such studies are certainly important and can be an occasion of great blessing and true utility. But never allow yourself to fall into the trap of trying to think yourself through a situation that can only be prayed through. Here it seems like Evagrius all of a sudden is talking complete obscurity, doesn't it? Ah, dear soul, you'll see that he's just making the point we just looked at: Don't try to think through a problem that needs to be prayed through. For it is precisely through prayer, especially psalmody - the prayer of the Church - that wisdom is planted and grows within us. We might not even realize it as it happens, but so it does. Our first and highest calling is to prayer. When we respond to this calling, God works also within us, imparting the wisdom necessary to live rightly, to make the right decisions, to do the will of God in all things. This is what is meant by the "wisdom of the world of multiplicity." It is the world in which we now live, in which we struggle, in which we must live the life of grace among a constant barrage of choices and paths which are presented to us. We make the right decisions and we take the right paths by doing the will of God. And we know the will of God by knowledge of God Himself. As Evagrius says, it is prayer that is the prelude to this immaterial knowledge. So prayer helps us to grow in wisdom to know the right path; we know the right path by accomplishing the will of God; and we know the will of God by the immaterial knowledge of which prayer is the prelude. 87. If you have not yet received the gift of prayer or psalmody, persevere patiently and you will receive it. This ties in to the constant struggle of bringing the intellect out of deliberate distraction, about which we spoke earlier. For prayer truly is a gift. Psalmody - the conscious bearing and offering of the prayer of the Church - is a gift. It is found through perseverence and struggle. This perseverence, this struggle is most often entirely uninteresting, as well. You must be prepared to walk through spiritual dryness, spiritual tedium. The reward of true prayer is worth it. As Evagrius will tell us in a moment: Do not lose heart! 88. 'And He spake a parable to them to this end, that men ought always to pray, and not to lose heart.' So do not lose heart and despair because you have not yet received the gift of prayer. 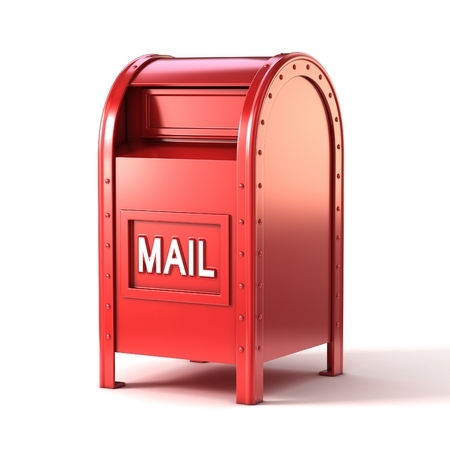 You will receive it later. In the same parable we read: 'Though I do not fear God, or man's opinion, yet because this widow troubles me, I will vindicate her.' Similarly, God will speedily vindicate those who cry to Him day and night (cf Luke 18:1-8). Take heart, then, and persevere diligently in holy prayer. This point can not be overstated, I think, dear soul. So, so many today begin the journey of faith only to lose heart. Some lose heart quickly, whereas others very tragically lose heart even after years of (supposed) struggle. Heart is lost and discouragement is invited when psalmody is neglected. In the neglect of praying with the prayer of the Church, one lacks needed wisdom to make the right choices in this world. It is only in making the right choices that the will of God is accomplished on earth as it is in heaven. And it is only through prayer that we have the prelude of the immaterial knowledge of God Himself. Prudence will keep us from saying too much on this in the present forum, but let us very much take heed of what is said. The warning given here is echoed by all the great Fathers when they speak to those of use undertaking the lift of prayer. Let a word to the wise be sufficient here. We are left with some good spiritual considerations this month, dear soul. Let us take them and continue our journey and our podvig. Know that I am praying for you! Please pray also for me, a sinner. Saint Barlaam was born into a wealthy family at Novgorod and was christened Alexis. On the death of his parents he sold his property, giving away much to the poor, and went to live as a solitary at a place called Khutyn on the banks of the river Volga. In solitude the Monk Varlaam led a strict life, making unceasing prayer and keeping very strict fast. He was a zealous ascetic in his tasks -- he himself felled timber in the forest, chopped firewood and tilled the soil, fulfilling the words of Holy Scripture: "If any shalt not work, neither shalt he eat" (2 Thess. 3: 10). The fame of his virtues in tIme brought companions to him. Instructing those that came, the Monk Barlaam said: "My children, be observant against all unrighteousness, and neither envy nor slander. Refrain from anger, and give not money over for usury. Beware to judge unjustly. Do not swear falsely giving an oath, but rather fulfill it. Be not indulgent to the bodily appetites. Always be meek and bear all things with love. This virtue is the beginning and root of all good." His wooden chapel was rebuilt in stone, and dedicated in honour of the Transfiguration. Pilgrims and other visitors flocked to the new monastery, among them the Duke Yaroslav, who became its benefactor. The Lord sent down upon the monk, for his service to others, the gifts of wonderworking and perspicacity. St Barlaam did not live long after the final establishment of this community. Having provided for its continuance and upkeep, he nominated the monk Antony to succeed him, saying: "My beloved brother! God's blessing doth rest upon this monastery. And now into thine hand I transfer this monastery. Watch over and take concern for it. I do expire to the King of Heaven. But be not confused over this: while yet in the body I do leave you, still in spirit I shalt be with you always". He died on November 6, 1193. His burying-place was the scene of miracles, and his relics were solemnly enshrined in 1452. 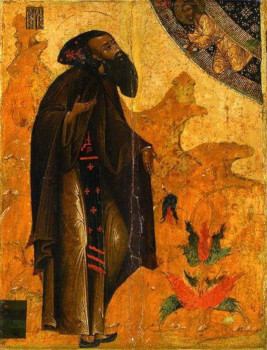 The life of Saint Barlaam of Khutyn was written by a Serbian monk named Pachomius; in the Russian Catholic use of the Byzantine Rite he is commemorated at the preparation of the holy gifts. 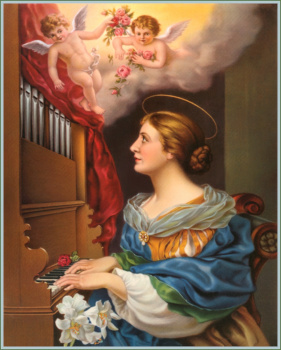 For over a thousand years Saint Cecilia has been one of the most greatly venerated of the maiden martyrs of the early Church and is one of those named in the canon of the Mass. Her "acta" state that she was a patrician girl of Rome and that she was brought up a Christian. She wore a coarse garment beneath the clothes of her rank, fasted from food several days a week, and determined to remain a maiden for the love of God. But her father had other views, and gave her in marriage to a young patrician named Valerian. On the day of the marriage, amid the music and rejoicing of the guests, Cecilia sat apart, singing to God in her heart and praying for help in her predicament. When they retired to their room, she took her courage in both hands and said to her husband gently, "I have a secret to tell you. You must know that I have an angel of God watching over me. If you touch me in the way of marriage he will be angry and you will suffer; but if you respect my maidenhood he will love you as he loves me." "Show me this angel," Valerian replied. "If he be of God, I will refrain as you wish." And Cecilia said, "If you believe in the living and one true God and receive the water of baptism, then you shall see the angel." Valerian agreed and was sent to find Bishop Urban among the poor near the third milestone of the Appian Way. He was received with joy and there appeared a venerable old man bearing a writing: "One Lord, one faith, one baptism, one God and father of all, above all, and in us all." "Do you believe this?" Valerian was asked, and he assented and was baptized by Urban. Then he returned to Cecilia, and found standing by her side an angel, who put upon the head of each a chaplet of roses and lilies. Then appeared his brother, Tiburtius, and he, too, was offered a deathless crown if he would renounce his false gods. At first he was incredulous. 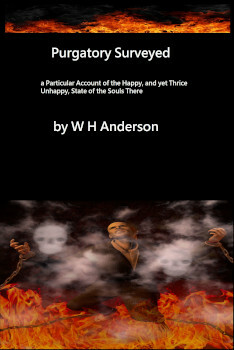 "Who", he asked, "has returned from beyond the grave to tell us of this other life?" Cecilia talked long to him, until he was convinced by what she told him of Jesus, and he, too, was baptized and at once experienced many marvels. From that time forth the two young men gave themselves up to good works. Because of their zeal in burying the bodies of martyrs they were both arrested. Almachius, the prefect before whom they were brought, began to cross-examine them. The answers he received from Tiburtius he set down as the ravings of a madman, and, turning to Valerian, he remarked that he hoped to hear more sense from him than from his crazy brother. Valerian replied that he and his brother were under the charge of one and the same physician, Jesus Christ, the Son of God, who could impart to them His own wisdom. He then proceeded at some length to compare the joys of Heaven with those of earth, but Almachius told him to cease prating and to tell the court if he would sacrifice to the gods and go forth free. Tiburtius and Valerian both replied: "No, not to the gods, but to the one God to whom we offer sacrifice daily." The prefect asked whether Jupiter were the name of their god. "No, indeed", said Valerian. " Jupiter was a corrupt libertine and, according to the testimony of your own writers, a murderer as well as a criminal." Valerian rejoiced when they were delivered over to be scourged, and cried out to the Christians present: "Roman citizens, do not let my sufferings frighten you away from the truth, but cling to the one holy God, and trample under your feet the idols of wood and stone which Almachius worships." Even then the prefect was disposed to allow them a respite in which to reconsider their refusal, but his assessor assured him that they would only use the time to distribute their possessions, thus preventing the state from confiscating their property. They were accordingly condemned to death and were beheaded in a place called Pagus Triopius, four miles from Rome. With them perished one of the officials, a man called Maximus, who had declared himself a Christian after witnessing their fortitude. Cecilia gave burial to the three bodies, and then she in turn was called on to repudiate her faith. Instead she converted those who came to induce her to sacrifice; and when Pope Urban visited her at home he baptized over 400 persons there: one of them, Gordian, a man of rank, established a church in her house, which Urban later dedicated in her name. When she was eventually brought into court, Almachius argued with Cecilia at some length, and was not a little provoked by her attitude: she laughed in his face and tripped him up in his words. At length she was sentenced to be suffocated to death in the bathroom of her own house. But though the furnace was fed with seven times its normal amount of fuel, Cecilia remained for a day and a night without receiving any harm, and a soldier was sent to behead her. He struck at her neck three times, and then left her lying. She was not dead and lingered three days, during which the Christians flocked to her side and she formally made over her house to Urban and committed her household to his care. She was buried next to the papal crypt in the catacomb of St Callistus. Pope St Paschal I (817-824) translated the relics of Saint Cecilia, together with those of Saints Valerian, Tiburtius and Maximus, to the church of Santa Cecilia in Trastevere. In 1599 Cardinal Sfondrati in repairing this church reinterred the relics of the four martyrs, the body of Cecilia being then still incorrupt and complete. Also in 1599 the sculptor Maderna was allowed to see the body and made a life-size statue of what he had seen, naturalistic and very moving: "Not lying upon her back like a body in a tomb, but upon the right side, as a maiden in her bed, her knees drawn together, and seeming to be asleep." This statue is in the church of Saint Cecilia, under the altar contiguous to the place where the relics were reburied in a silver coffin; it bears the sculptor's inscription: "Behold the most holy virgin Cecilia, whom I myself saw lying incorrupt in her tomb. I have made for you in this marble an image of that saint in the very posture of her body." Today perhaps St Cecilia is most generally known as the patron-saint of music and musicians. At her wedding, the acta tell us, while the musicians played, Cecilia sang to the Lord in her heart. In the later middle ages she was represented as actually playing the organ and singing aloud. 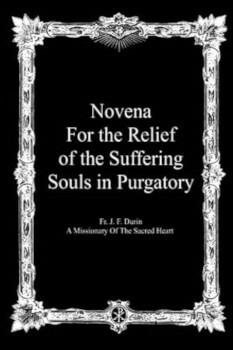 Novena For the Relief of the Suffering Souls in Purgatory We present this small treatise to pious persons, entreating them to peruse it. Long ago the Holy Ghost said: "It is a holy and wholesome thing to pray for the dead, that they may be loosed from their sins." (II Maccabees 12:46) Our Lord shed tears in seeing the tomb of Lazarus, and the Church, well acquainted with the feelings of her Divine Founder, is incessantly recommending charity for the Souls suffering in Purgatory. One of her eminent doctors, St. Thomas of Aquinas, has said that: "Of all prayers, the most meritorious, the most acceptable to God are prayers for the dead, because they imply all the works of charity, both corporal and spiritual." But there are many people unconscious of the fact that charity for the "Poor Souls" is profitable to the living as well as to the dead. 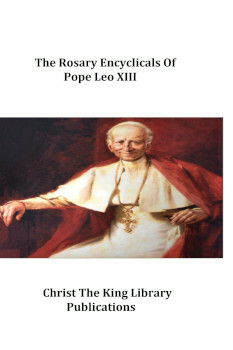 It is the teaching of the most learned theologians, viz: St. Alphonsus Liguori, Sylvius, Robert Bellarmine, Bonacina, and Suarez. "It is true," says St. Alphonsus, "they are unable to pray or merit anything for themselves, yet, when they pray for others, they are heard by God." 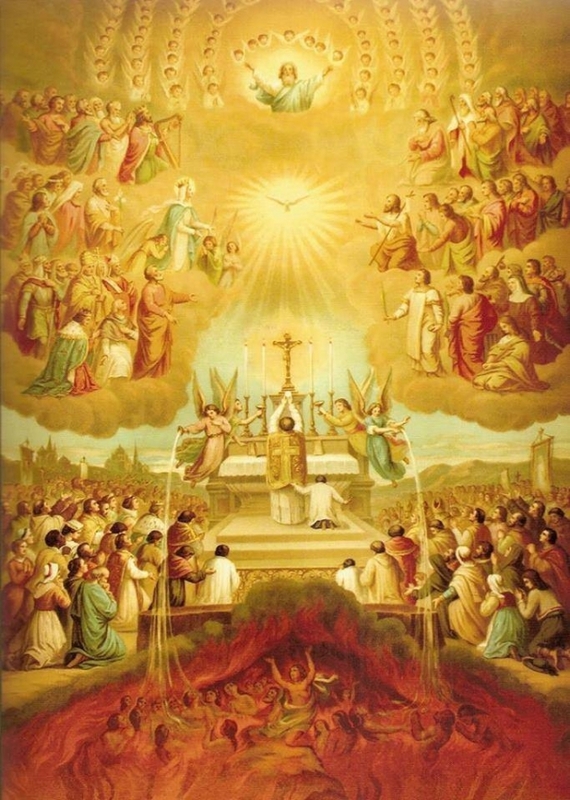 Let us refer to Bellarmine: "The Souls in Purgatory," says he, "can pray for those, who address to them their petitions, and obtain from God help, forgiveness, assistance against temptations, and, all favors, both temporal and spiritual, which they may need." Many Saints have experienced this wonderful assistance. 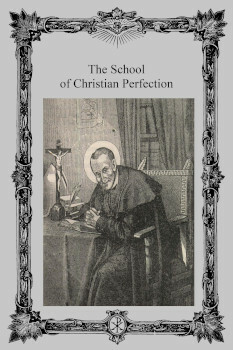 This quaint, but forcible and edifying book, was partly translated, partly, as the translator acknowledges, "disposed, abridged, or enlarged," from a treatise by Father Stephen Binet, a French Jesuit, which is entitled "De Festat heureux et malheureux des ames souffrantes du Purgatoire, ct des moyens souverains pour n'y aller pas, ou y demeurer fort peu; ou sont traictees toutes les plus belles questions du Purgatoire." Paris, 1625, in 12. Douay, 1627, in 24. Father Binet was born at Dijon in 1569, entered the Society in 1590, and, having been successively Rector of its principal houses in France, died at Paris, 1639. This treatise is numbered 20 out of 36 ascetical works composed by him, and given in De Backer's Bibliotheque des Ecrivains de la Compagnie de Jesus. Their titles make one wish that some competent pen may be found to reproduce them for us in our own tongue. The translator, who simply signs himself by the initials, R.T., was Father Richard Thimelby, also of the Society of Jesus. In those evil days, when it was death to be known to say Mass, or to reconcile anyone to the true Faith, almost every priest was furnished with an alias and Father Thimelby accordingly went sometimes by the name of Ashby. 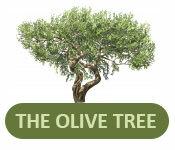 He is described in Dr. Oliver's "Collections" as being "of a genteel and ancient family in Lincolnshire." This is abundantly justified by notices occurring of the family, at two different periods of English history. 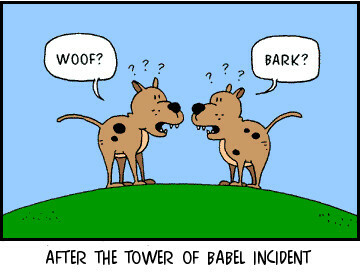 Thus: (I.) In Sir S. Meyrick's Heraldic Visitations of Wales, and part of the Marches, Mention is made of Richard Thumbleby (Thimbleby), knight, who was one of the bailiffs of Harddlech, or Harlech, in the county of Lincoln, and son to John Thumbleby, armiger to King Henry V.
Authored by Saint John Eudes, Introduction by Fulton J Sheen According to the Roman Breviary, Saint John Eudes is the author of devotion to both the Sacred Heart of Jesus and the Immaculate Heart of Mary. His two works on these two devotions are classics. However, he is also a master to the spiritual life; an unknown master. Many are familiar with the works of Saint Bonaventure, Saint Alphonsus Ligouri and Saint Louis de Montfort to name just three of the masters of the spiritual life. And yet, Saint John Eudes has a lot to contribute. 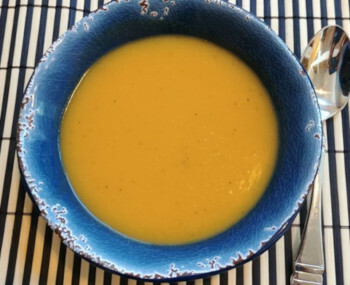 Ever a welcome addition to any autumn table, Brother Treacher's own recipe for butternut squash soup is sure to please everyone who enjoys butternut squash soup made according to Brother Treacher's own recipe. 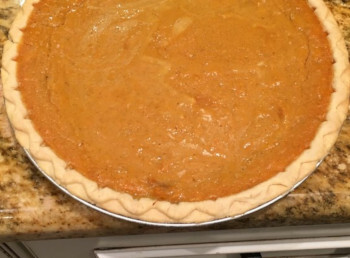 Who can forget having a good slice of Great Aunt Henrietta's sweet potato pie out at the old home on Route 3? 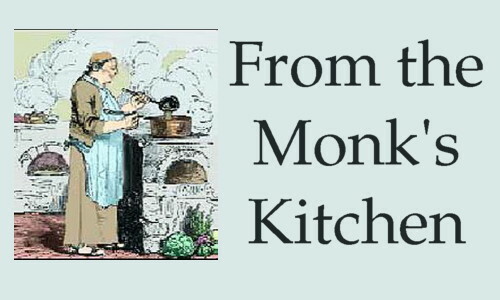 The taste and the memories can be yours again with Great Aunt Henrietta's own recipe! 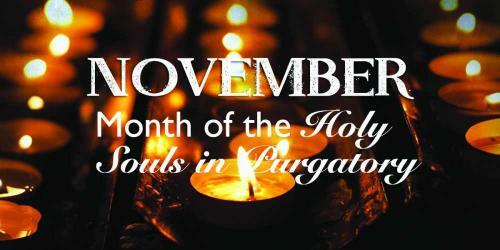 November is the month of Holy Souls in Purgatory, those faithful Christians who have died and gone before us but who still must fulfill the biblical principle of reaping and sowing concerning their sins. (Galatians 6:7) When that principle has not been fulfilled here on earth, then the time they spend in Purgatory purges them so that they may enter Heaven free from all the effects that their sin caused. Praying for the dead, especially for those we have known, is a requirement of Christian charity. Our own prayers and sacrifices can be offered up to relieve their suffering. We that in mind. 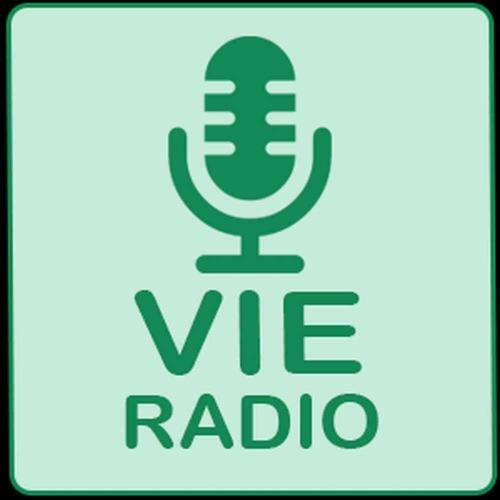 We at Vatican In Exile Radio want to tell you about the new programing for the month of November. The Stations of the Cross are a 14-step Catholic devotion that commemorates Jesus Christ's last day on Earth as a man. The 14 devotions, or stations, focus on specific events of His last day, beginning with His condemnation. 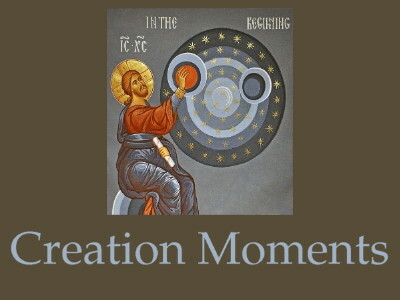 At each station, the individual recalls and meditates on a specific event from Christ's last day. Specific prayers are recited, then the individual moves to the next station until all 14 are complete. The Stations of the Cross are commonly found in churches as a series of 14 small icons or images. They can also appear in church yards arranged along paths. The Stations of the Cross is another way to pray for the Holy Souls who are in purgatory. Each Friday, during the month of November you can do the Stations of the Cross along with us. And don't forget the other great programing that you can hear! Catechism Corner discuss the lessons given in Fr. Cogans' Catechism book called “A Brief Catechism for Adults”. You won't want to miss a lesson! Such as Paul Harveys' The Rest of The Story, Keys For Kids, Creation Moments, and Life Line are just some of the little jewels you can hear. Check your program guide to see times and days for each program. By the time she had returned from her adventures in Oz, Dorothy had learned that “There’s no place like home.” As we discover more planets outside the solar system, we are learning that there’s no place like Earth or even the solar system. While we usually think of planets orbiting a star, astronomers are now finding planets that simply float through space without a home star. Of the 15 known homeless planets, 13 of them were recently found in the Orion Nebula. These most recent discoveries were made using a specialized camera that examines the heavens for infrared and near infrared light. Scientists speculate that the planets might have escaped from orbit around some star. Others speculate that the planets are failed brown dwarf stars. To become a brown dwarf, a body has to be at least as big as 13 Jupiters. The smallest of these planets is as big as 8 Jupiters, making its gravity far too strong for any life as we know it. To make matters worse, temperatures on these planets would not support life, either. Analysis of the light coming from these planets reveals that their surface temperatures are nearly 5000° F.
These homeless planets are part of God’s illustration to us of how He specially designed our solar system and Earth just for us. The Bible tells us that the Word made flesh, our Lord and Savior Jesus Christ Who gave His life for us, was also the Instrument God used to create the entire universe. Prayer: Thank You, Lord, for making us a very special home. Amen. God desires that you speak the truth (see Ephesians 4:25 and Psalm 14:2,3) and that you keep your word (seeMatthew 5:37). 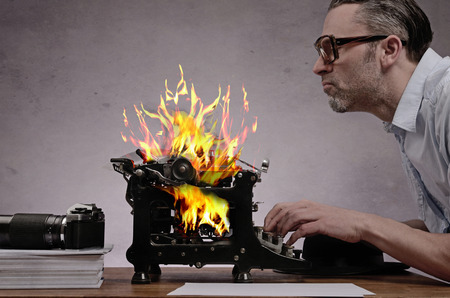 He will hold you responsible for what you speak.“. . .every idle word that men shall speak, they shall render an account for it in the day of judgment.”(Matthew 12:36). 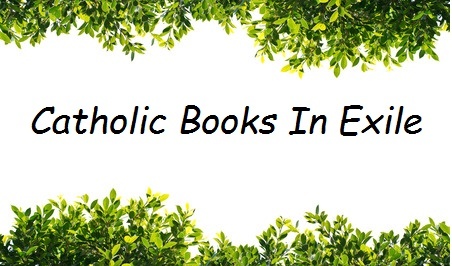 Some of you may know that we operate a virtual book store online in order to support ourselves and the work of the Catholic Church. Our book store is being shifted from one company to another, which has different payment policies. The new company pays a month later than the old company. The money we earned in October will be paid to us at the end of November and used for our December operations. The money earned in November will be paid to us at the end of January not December. Therefore we will receive very little at the end of December in order to continue our work. We ask prayers that God will help us find a way to make up this short fall of about $2,000. Be sure to keep the new foundation of St. Helen Catholic Mission in your prayers. 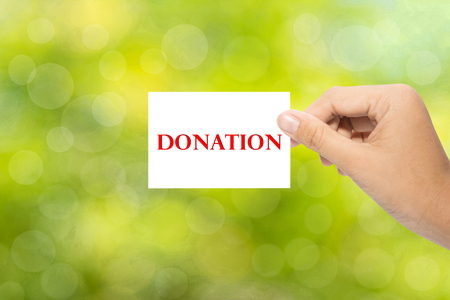 Why not go on over to the site now and see what they have to offer and how you might be able to help! Your prayers are asked for the newly-ordained Father Francis Dominic as he embarks upon the important work entrusted to him within the Church. 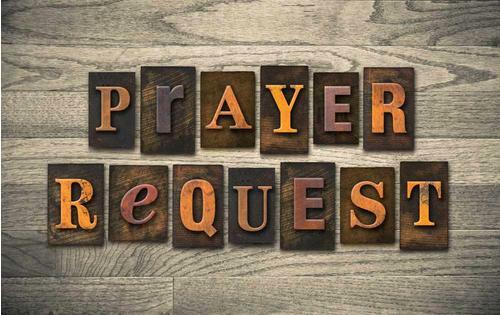 Please pray for Brother Stephen's wife who is having health issues. May God grant the swift grace of His healing!